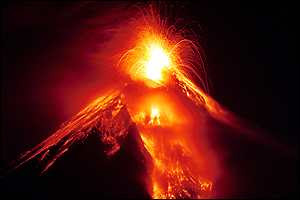 journal of rj's mama: "blue moon" and mayon volcano = fireworks! "blue moon" and mayon volcano = fireworks! This is Mayon Volcano now, it looks like a giant christmas tree. It sure looks beautiful looking from afar. But people who live at the foot of the volcano needs to be evacuated because the volcano has been spewing lava and flaming rocks. Since yesterday, the summit of the volcano was obscured most of the time by thick clouds. No ash explosion was observed during good visibility. But a bright blue moon will grace New Year's eve celebration worldwide. A blue moon isn't actually blue. 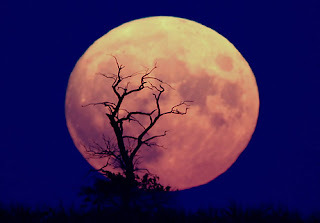 It is actually the rare appearance of the second full moon of the month linked from the saying "once in a blue moon". 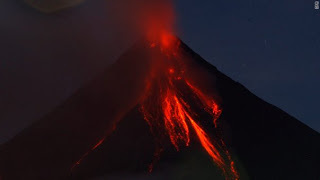 Scientists say that the full moon's (the "blue moon") gravitational pull could spark a major eruption of the most active volcano in the Philippines --Mount Mayon. It would definitely be a fireworks display that is not man-made. It will look spectacular no doubt. 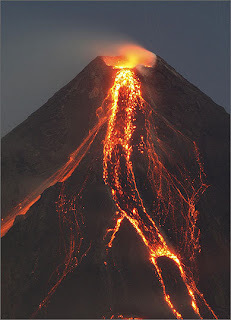 But what will you feel if you are one of the people who live at the foot of the volcano. 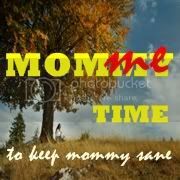 Your main source of livelihood, rice farming and livestock raising, has been destroyed -- will you feel happy? Happy New Year. Do join me in praying that Mayon's wrath will end soon. Wow- what incredible pictures! I cannot fathom being so close to a volcano! I pray that those people are safe. Happy New Year from N Ireland. Happy New Year! Stopping by from SITS! What amazing pictures! 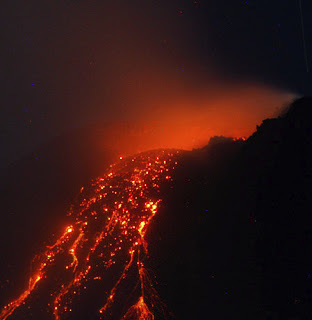 beautiful pictures,thanks for sharing.praying for all those affected by the Volcano.